The purpose of this project is to help to increase the number of employees who benefit from practices and methods that help to increase the quality of work and improve working conditions while promoting a professional and sustainable development of the workforce. 100 are employed with individual labor contracts in human resources departments. The target group was selected according to the needs identified by ARIES Transilvania members, needs related to the low level of entrepreneurial skills, the low level of skills needed to develop sustainable development strategies in SMEs, needs for skills improvement to increase individual performance and organizational performance in order to be able to work as efficiently and efficiently as possible in the team and for better collaboration both within the team and with the other members of the association. Beneficiaries of the target group will be selected from the Northwest Region: Cluj County (approximately 335 managers and entrepreneurs and 75 employees in the human resources department), Bihor County (approximately 40 managers and entrepreneurs and 10 employees from the resource department human resources), the Satu Mare and Maramures counties (about 50 managers and entrepreneurs and 15 employees from human resources departments) as well as from the other counties of the NW region if they are people who will express their interest in the training programs in the project. Through this project, entrepreneurial culture will be promoted, the importance of professional training and the development of specific competencies for people who ensure strategic business management and human resource management within the region, in order to increase the level of adaptation of enterprises and employees to new trends in technology in to increase competitiveness. Call code: POCU / 227/3/8 / Increasing the number of employees benefiting from new tools, methods, practices, etc., human resources management and improved working conditions in order to adapt the activity to the dynamics of competitive economic sectors identified according to SNC / intelligence specialization fields according to SNCDI. 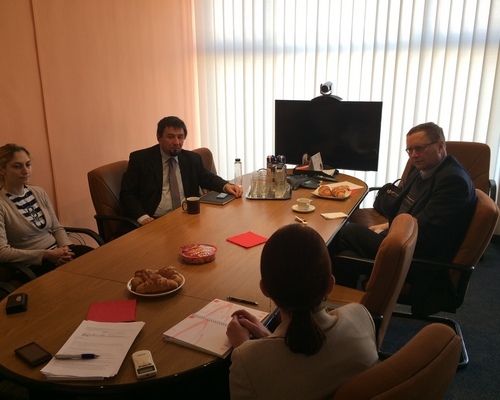 The objective of the action is to support Romania’s integration in the eDelivery Digital Service Infrastructure (DSI). The project aims at the implementation of generic services and the adoption of the DSI amongst private and public entities in Romania. This will contribute to achieving compliance with the eIDAS Regulation and to support the implementation of AccessPoints for other services such as eInvoicing, transportation, Environment, health, eTendering or eJustice. The action will implement an AccessPoint(AP) and Service Metadata Publisher (SMP) to interconnect to the EU Core Platform, in order to increase the cross-border exchange of electronic documents amongst private and public sectors, and between those entities and citizens or business. The envisaged AccessPoint is an implementation of the AS4 and AS2 profiles in a production environment. The action includes conformance testing towards the EU Core Service Platform and the deployment and connectivity testing of two SMPs. The general project objective is to increase efficiency of the Romanian Authorities (public administration) and facilitate the cross-border exchange of documents and data through the eDelivery DSI. The high-level objective of implementing eDelivery (eSens) is to acquire knowledge and provide national authorities in Romania the opportunity to develop interoperability standards and data exchange amongst systems. It will also help increase the scalability of SNEP by facilitating message exchange with other systems. The business needs are represented by a better exchange of data and documents amongst stakeholders, benefiting the citizen. How it works: by electronic message exchange (channel provisioning) amongst stakeholders. eDelivery access points enable cross-border communication and message/documents sharing, amongst back-end systems. Public administration bodies and governments become more and more interconnected while struggling to provide better service for their citizens. Integrated, cross-governmental services for citizens are both demanded by their end-users, as by European Directives. Therefore, the deployment of cross-border digital services through generic and re-usable components represents the core foundation for eGovernment services. Main benefits envisaged by an eDelivery AccessPoint in Romania are both domain specific and domain neutral. Domain specific use-cases, envisaged for a later stage are related to Justice, Procurement and Consumer protection. Domain-neutral use-cases are the object of this project, and refer to the exchange of data and documents amongst public authorities in a cross-border dimension and authorities and citizens/business. Considering the limited number of national-available eGovernment systems, great entropy amongst existing systems and low interconnectivity of services in Romania, the eDelivery Access Point Implementation and uptake starts with the most suited and functional National Electronic System in Romania – SNEP, also known as Ghiseul.ro. Starting with 2017, ARIES Transilvania became consultant organization in NEPRUNE project, an innovation action project supported by the European Commission and its HORIZON 2020. NEPTUNE aims at developing new cross-sectoral and cross-border industrial value-chains, including in particular SMEs, to foster the development of Blue Growth industries. This development is based on the construction of new value chains and the reconfiguration of existing ones driven by the integration of new technologies and know-how between Water, Aerospace, ICT and Agriculture cluster actors/industries. In November 2016, ARIES Transylvania, became part of Copernicus network, created by European Commission with the same name. 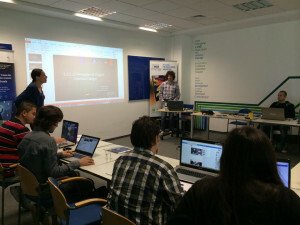 By forming part of this network, ARIES Transilvania aims to target intermediate and end-user communities to promote Copernicus as a source of free, open and reliable satellite data to meet the needs of local public services and assist in the development of environmental services with high commercial potential by local entrepreneurs. Through the Network of Copernicus Relays, the European Commission will work closely with stakeholders to promote the use of Copernicus data and information in each Copernicus participating country. The system, known as the Copernicus programme, collects data from multiple sources which include earth observation satellites and in situ sensors such as ground stations, airborne and seaborne sensors. The members of this new community will be the representatives of Copernicus on the ground and will be promoting the benefits of the EU’s Earth Observation Programme. They will be the voice, but also the eyes and the ears, of the Commission at local and regional level to ensure that user needs are integrated into the Programme and to maximize its use at local and operational level. It processes these data and provides users with reliable and up-to-date information through a set of services related to environmental and security issues. These services address six thematic areas: land, marine, atmosphere, climate change, emergency management and security. The Copernicus programme is coordinated and managed by the European Commission. Since October 2016, ARIES Transilvania implements a project named ClimLab Earth Observation (EO ClimLab), funded by ESA (European Space Agency). The aim of this project is to stimulate the development of new services and products based on the use of open data and Copernicus services, all of which are combined with local data. The Earth Observation ClimLab (EO ClimLab) is a collaborative research e-environment enabling the rapid development and prototyping of new Earth Observation (EO)-based products aiming to support adaptation and mitigation to climate change across multi-disciplinary societal and business themes (e.g. agriculture, health, risk management, infrastructure maintenance, education, outreach). The project will have a duration of 18 months, with partners from 3 different countries: Romania, Czech Republic and Poland. The partners from Romania are: ARIES Transilvania (Cluj-Napoca), Indeco Soft (Baia Mare) and AROBS Transilvania Software (Cluj-Napoca). The purpose of the project is to popularize the use of information provided by satellites in order to create apps in Romania, Poland and Czech Republic, the final objective being the identifying of the most promising apps in order to support them and to be put to use. Mostly, it’s purpose is to develop commercial apps which will use the data provided by satellites. The EO ClimLab can be seen as kind of “Fablab” environment providing developers with the data, tools and knowledge needed to develop new products and services to enhance climate resilience. The EO ClimLab can be operated by different organisations (e.g. incubators, techno park, local authorities, universities), which will have access to the EO ClimLab package described above including physical and virtual infrastructure and support. ARIES Transilvania is a member of the European Commission’s Network -Enterprise Europe Network being a partner in the BISNet Transilvania consortium – Business and Innovation Support Network in Transylvania. The project is running for a period of six years and has the objective to offer support services for business and innovation, in North West and Centre Romania. 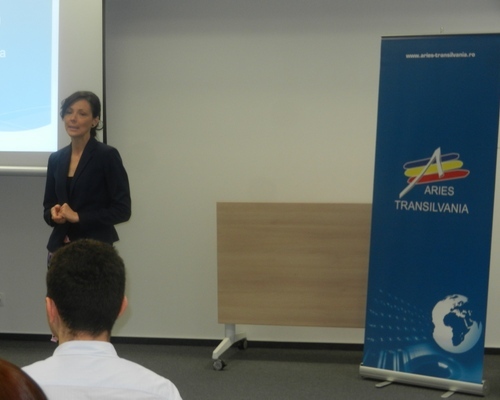 ARIES Transilvania supports the innovative companies from North-West region by providing specific services: technology requests and offers, support for technology transfer, participation in matchmaking events, internationalization, EU funding and other support services. BISNet Transylvania is part of Entreprise Europe Network, the largest network in Europe which offers consultancy and informative services. These are available to the commercial society, regardless of its activity, but it’s main objectives are SME’s, universities, research centers, development agencies for businesses and innovation. 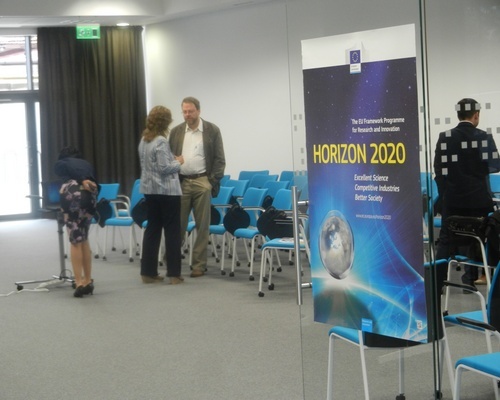 Horizon 2020 is a research and innovation program of the European Commission for development and growth of innovation capacity of SMEs in the region and has a total budget of 80 billion euros for 2014-2020. 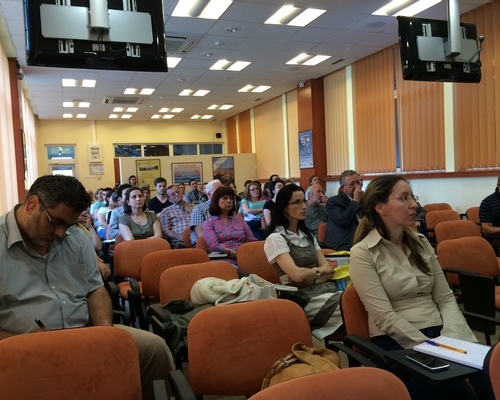 As such, ARIES Transilvania is directly involved in outreaching activities and dissemination of information related to this program, encouraging SMEs in Northern Transylvania area to access the call sites to be launched under Horizon 2020, identifying partnerships and projects of interest. 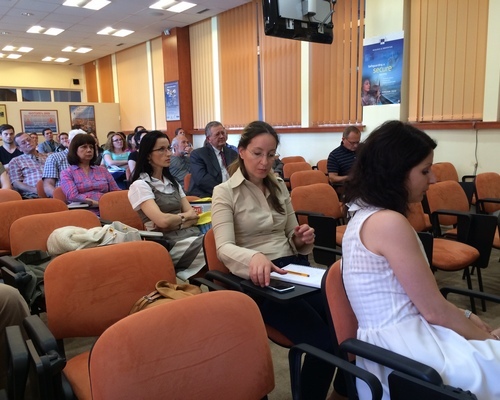 At the actions initiated by ARIES Transilvania are invited to participate both member companies and other SMEs in the region interested in the areas covered by Horizon 2020.